Conditions: Spring like conditions in the middle of January! Nice compacted snow pack. Epic Views. Difficulty: Difficult treck up, Challenging ski down depending on skier ability. Pet Friendly: Yes, saw some dogs. The Newton Clark Moraine is an all-day adventure. It requires a 5 miles skin up through the woods. And a ski down at an angle of about 38 degrees to 45 degrees. That being said, it is an absolutely beautiful place to go and explore even if you wanted to make it a day on snowshoes. 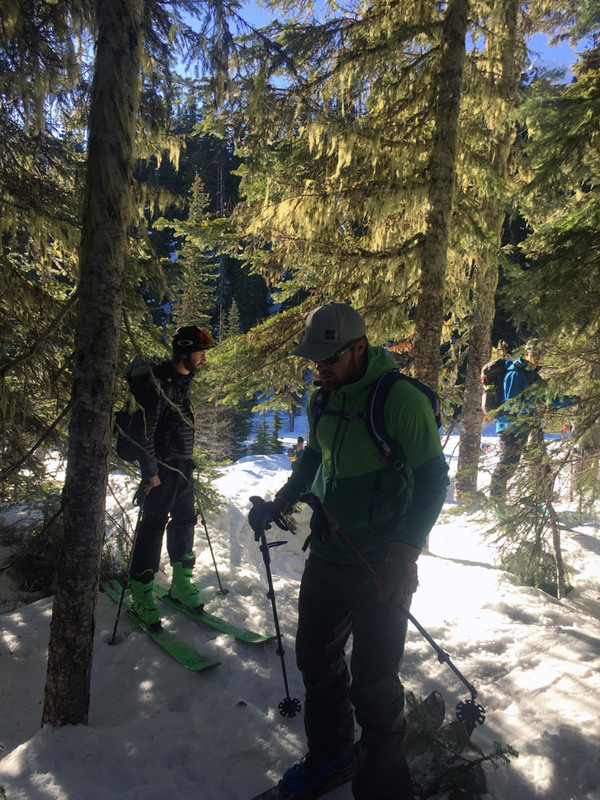 I was with a good crew, all of whom were knowledgeable about avalanches and hazards of the backcountry. To access this trail, you park in the Mt. Hood Meadows Lower parking lot. From there you hop in the "cat track" that heads up through the woods. You will most likely see other skiers heading that way. After a mile, you will cross over a slow trickling Newton Creek and head into the woods and a well-defined skin track. 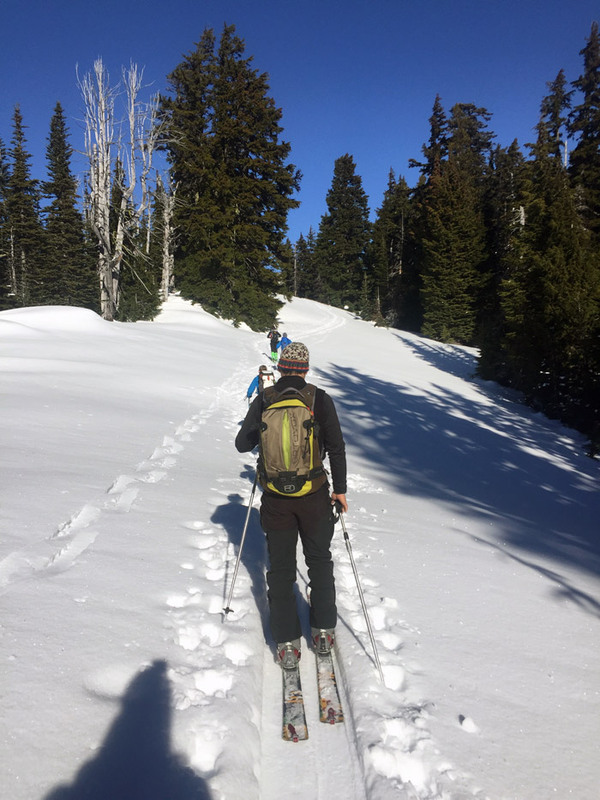 I will say that this trek up would be most enjoyable for those who have already practiced using skins going uphill in the backcountry. Once in the woods, your goal is to climb the moraine and get up on the Newton Clark Ridge. There is pretty much just one way up. Soon enough the trees will disappear, and you will see Mt. Hood right in front of you. To your left and your right are the much-desired slopes of the "Newton Clark Moraine". 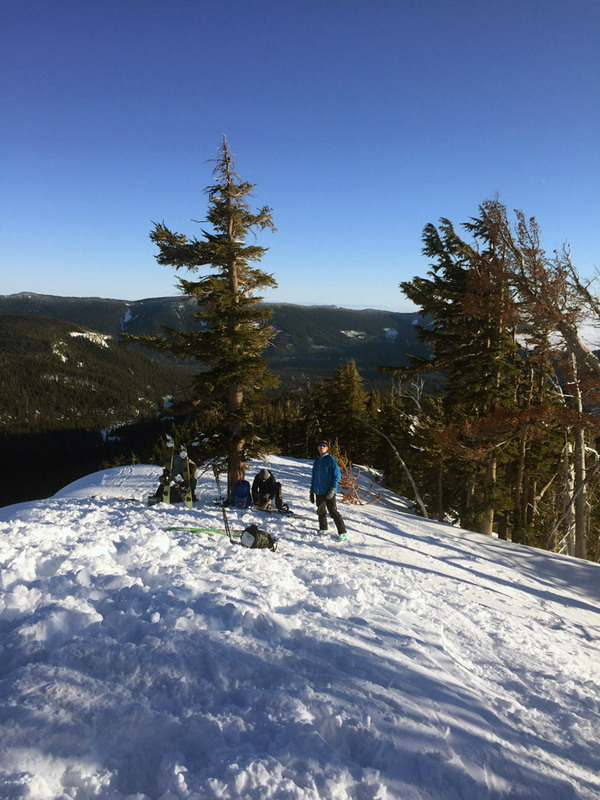 You can continue up to the tippy top for the steepest, and longest ride or ski right from the trees to keep it a bit more chill. From there just run laps till your heart is content. When you’re ready to go back down the left side (facing hood) will return you to the "cat track" back to the parking lot. All is all it was an epic day. My best advice is to know your ability well. Don't take first timers up here. Find something a bit more chill. The issue is if someone gets up there and doesn't feel comfy skiing the slope, its quite a long hike back. 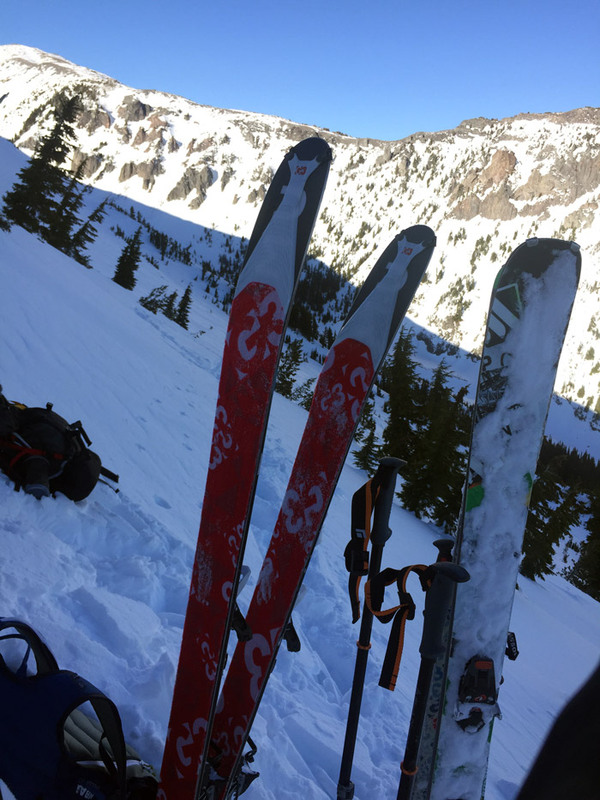 That being said, for experienced skiers and snowboarders of the PNW, this is a for sure go to backcountry experience. Remember avalanche training and awareness is KEY! If you don't know, don't go!